The W700 passengers ride its 7’8″ long ergonomic saddle, which is similar to the saddles of jet-skis, all-terrain vehicles and snowmobiles, and they can stand up anytime. The cockpit has enough room for three average size adult passengers, or two large size ones. The W700 is now fully available in New Zealand. This volume does not include the inside of the Saddle, which is watertight and should not be used for storage, since it is designated to serve as flotation. 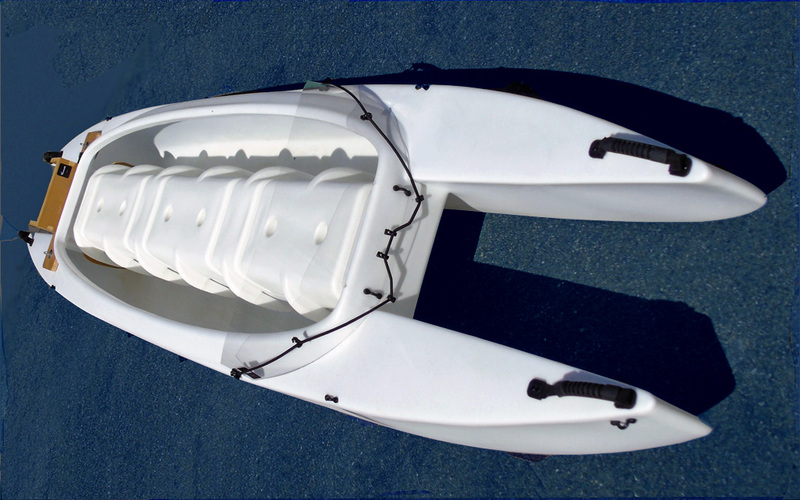 The W700 saddle is a large-volume watertight compartment that provides 180 lbs (81 kg) of positive buoyancy, which works as flotation in case of capsize. Therefore, models from this new series are offered without foam flotation modules. The W700 Sport Utility (SU) model for offshore motorized fishing, boating and work comes with a pair of inflatable detachable flotation modules- standard. The average US adult male weighs 200 lbs, and the average US adult female weighs 165 lbs. This means that with a maximal recommended load of 580 lbs, the W700 boat can carry two big guys and their fishing gear, plus a motor. 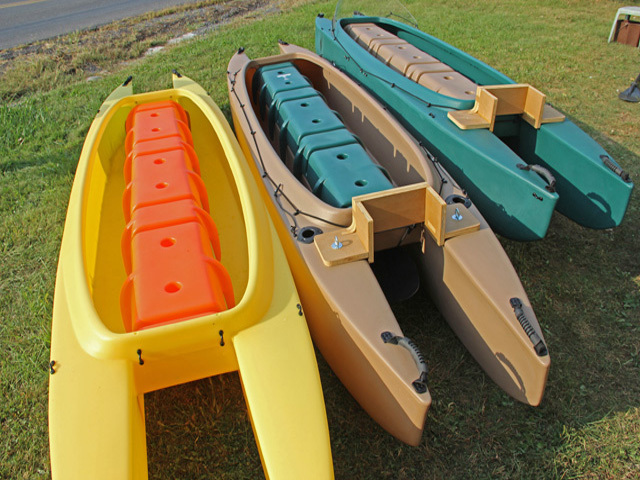 Alternatively, it can carry 3 average-size adult paddlers (male and female) together with their fishing and camping gear. The Twinhull which includes the two hulls, the Spray Deflector that goes around the cockpit, and a base for the Saddle part that’s dubbed the Central Platform. The Twinhull is protected by seven molded-in plastic brackets integrated with the Saddle, plus one MDO (wood and polymer resin composite) heavy duty bracket installed behind the saddle, in a special compartment. THE WAVEWALK® 700 – HOW IS IT MADE? Outfitting: The new product is outfitted similarly to the W500 product line, except we won’t offer it with foam flotation, which has become redundant due to the buoyancy of the W700 Saddle in its secondary role of flotation. Microskiff color combo. This unit is outfitted with a Spray Shield and a TMM 700 HD motor mount. This is the base model in the 700 series. It is offered in all 4 color options. It is easy to upgrade it by adding accessories such as rod holders, a spray shield, motor mount etc. *If outfitted with an outboard motor that’s more powerful than 3.5 HP, the W700 could go at speeds that may be too high for an average driver to handle. In such case, we recommend outfitting the rear end of the W700 with a pair of large-volume, inflatable flotation modules. 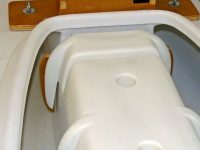 This model features attachment tie-downs for 2 pairs (4 units) of side flotation, and a preparation for cockpit cover. It ships with 1 pair (2 units) of inflatable, detachable side flotation tubes**, one pair of of Tite-Lok clamp mount rod holders, a detachable spray shield, and a TMM 700 HD (heavy duty) motor mount for outboards up to 3.5 HP. This model ships with Wavewalk’s plug-in Joystick Steering System that makes steering easier and more fun than steering with a tiller extension. It features attachment tie-downs for 2 pairs (4 units) of side flotation, and a preparation for cockpit cover. It ships with one pair of Tite-Lok clamp mount rod holders, a detachable spray shield, and a TMM 700 HD (heavy duty) motor mount for outboards up to 3.5 HP. 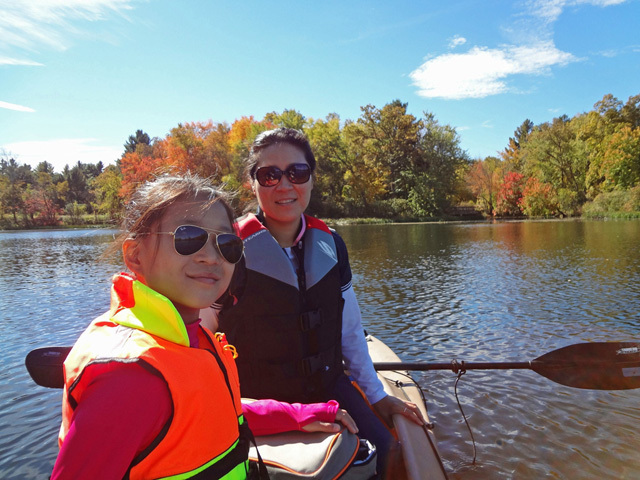 Tandem anglers. 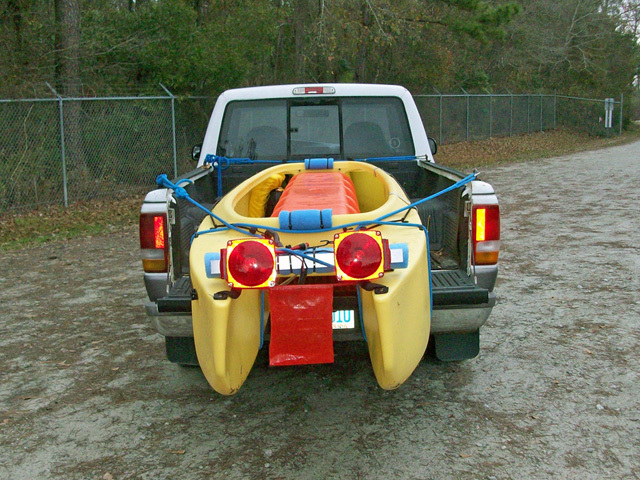 Typically, two big guys who fish out of a small microskiff, motorized dinghy, jon boat, large-size canoe, and other, heavier craft that require a trailer for transportation. Recommended models: 700 R, 700 F, 700 SU – depending on propulsion (paddle or motor), and type of water (e.g. flat water, bays, offshore). Hunters. Now there is enough room on board for a large-size hunter, plenty of gear, a motor, and a large-size dog. Recommended models: 700 R, 700 F – depending on propulsion (paddle or motor). Tandem hunters. Typically, duck and other waterfowl hunters, and their gear. Recommended models: 700 R, 700 F – depending on propulsion (paddle or motor). Families. This new craft is suitable for a couple paddling together with two young children. Recommended models: 700 R, 700 F, – depending on propulsion (paddle or motor). Speed, fun and adventure seekers. For a 1-2 crew. Recommended model: 700 ES (Enhanced Steering), 700 SU that ships with Wavewalk’s unique plug-in Joystick Steering Kit » Steering with the joystick makes driving easier and more fun in long trips and in rough water.